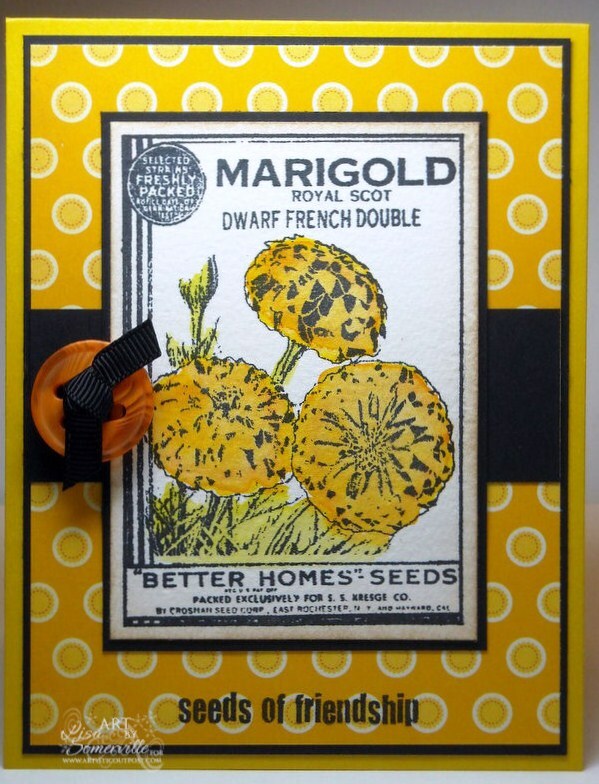 A really quick card using some of the beautiful images from the Bloom and Grow plate from Artistic Outpost. 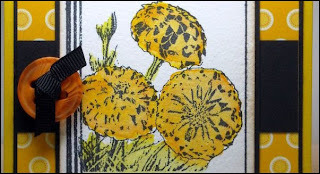 The image is stamps in Black Archival on Watercolor paper, then colored using the Marker Watercoloring Technique. Adding Black panels to pop my image and wonderful papers from Cosmo Cricket. The sentiment is added using a SAMJ. I added a button from Cosmo tied with Black Grosgrain. Lisa this is a fun card! Love the black with the yellow! Actuallly black is great with everything!! Another beauty. You've been using yellow a lot and I really like it. Great colors. I love the black with that yellow, it just POPs so well. Gorgeous card. 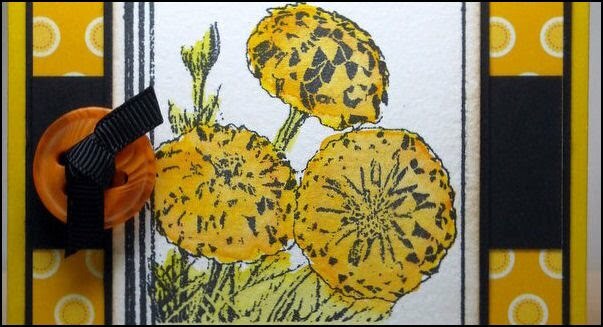 Your marker watercoloring is so beautiful. I really must practice that more. I have the same image inked up in the same colors. Love the design and wonderful card. I love this card. 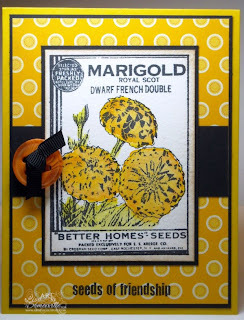 I have always loved looking at seed packets, they are always so pretty and I love the vintage look some of them have. Awesome card! very nice Lisa - you are amazing!